Razzaz, a former World Bank economist, was appointed by King Abdullah II in June to replace Hani al-Mulki, who resigned to defuse a crisis that saw some of the largest protests in years over planned IMF-driven austerity measures, including tax hikes. 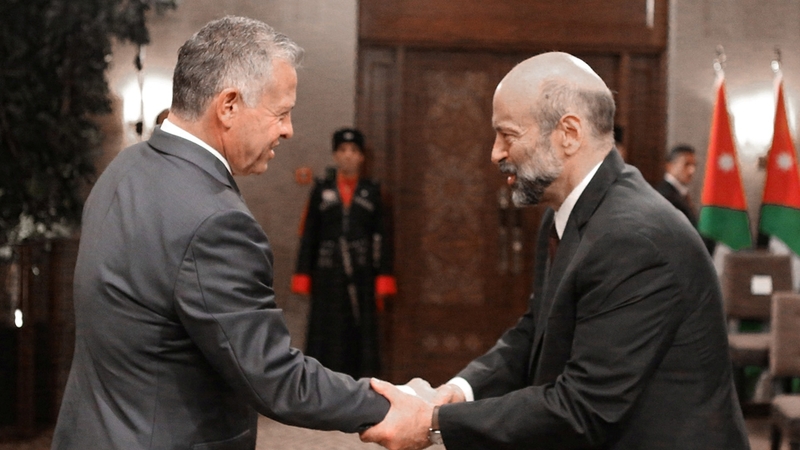 In an apparent bid to calm widespread discontent over rising economic hardship Razzaz, who had said he would re-evaluate his team after 100 days in office, reduced the 29-member cabinet to 27. But he also kept key ministries – notably the interior, finance and foreign portfolios – unchanged, and has warned Jordan would pay a heavy price if a tax reform bill failed to pass into law this year. Razzaz had angered unions and civic bodies when he introduced the IMF-inspired bill in September, making only cosmetic changes to one that brought down Mulki. Seen as a better communicator than his predecessor, Razzaz had promised to restore public trust in a country where many blame successive governments for failing to deliver on pledges of reviving growth that is stuck at around two percent, cutting waste and curbing corruption. But he installed many of the old-guard conservatives and tribal figures in his cabinet, who held sway in previous administrations, and critics – who have so far stopped short of calling for new street protests – say he has taken no clear steps to hold anyone accountable for graft. Under an IMF austerity plan it must rein in spending to cut spiralling debt standing a $37bn, equivalent to 95 percent of gross domestic product. Razzaz said he wanted to push through the tax bill this year to retain IMF support and avoid higher servicing costs on over $1.4bn of foreign debt due in 2019. “We will pay a heavy price if we enter next year without a tax bill,” Razzaz said, adding the reform would bring in an extra $423m in revenue.